It’s 65 Degrees! 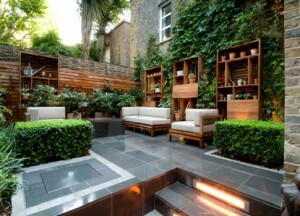 Let’s Design for the Outdoors! We have seen unseasonably warm temperatures in and around Washington DC. There are daffodils smiling in the sunshine and tulips starting to show their heads. You know what that means? Get outside and enjoy the view! If your outdoor living situation has been a bit lackluster or even non-existent, now is the time to start planning a stylish and durable outdoor design for living, dining and entertaining. Expanding your livable space outdoors make sense for our moderate climate and adds value to your home. Plus, you get a “bigger” house! Megan Blake Design offers outdoor design for living spaces – we will hand-pick and customize comfortable seating arrangements, set up inviting dining areas, cast beautiful glows with perfect lighting, add patterns and personality with seat cushions and durable accessories. The sky is the limit. We’d like to take your landscape there. Contact us at MBD for your outdoor design needs today! 202-688-1311 or email us at info@meganblakedesign.com.